Barcelona can be quite an expensive destination to visit compared to other Spanish cities on offer for holidaymakers. That’s not to say that you cannot still visit Barcelona on a budget though. Through a little research when you are planning your holiday it is possible to find affordable tourist attractions and services that will accommodate your budget. It is advisable to choose an economy class flight when travelling to Barcelona because the fares are way cheaper than business class flights. However, there are some travel service websites that offer affordable business class flights. For example, dialaflight.com‘s business fare from Gatwick to Barcelona is usually around 553 euros including tax. Additionally, you can get more discounts on flights by searching for special fares offered by different travel service websites. Finding a hotel in Barcelona for less than 100 euros a night is quite difficult. Usually budget hotels are a considerable distance from the city centre, however there are still hotels that are worth the travel time. Take the Hotel California for instance, which is situated near La Rambla. Its double rooms usually range between 85 euros to 95 euros. To ensure that your booking is accepted at this hotel it’s best to make hotel reservations in advance because these budget hotels usually get fully booked during the peak season. What’s great about Barcelona is the multitude of free attractions dotted around the city including buildings designed by the world renowned architect Anton Gaudi. Some of Gaudi’s masterpieces include Sagrada Familia, Park Guell, Casa Vicens, and Casa Mila are beautiful attractions within the city. 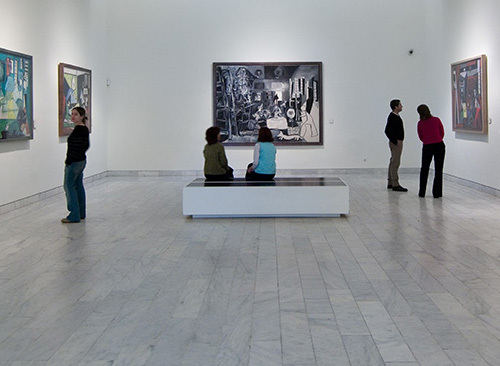 The Picasso Museum in the city also has regular promotions on: each Sunday at the start of every month, it is free to enter the museum. This museum does get very busy though, so make sure to arrive early to avoid a queuing. Other notable landmarks include the trendy hang out spot at Las Ramblas where you can find human statues, street artists, restaurants, bars, and various stalls.